We’ve probably all been through the burden of visitors coming over, pointing at a coral (mostly looking past all your exclusive unique corals, picking out the xenia or kenya tree) and saying the words “What kind of plant is that?”. As our reefer heart starts to boil a bit while we’re trying to explain that our beloved corals are not plants but animals, our visitors are actually not completely off the truth as our corals do have a close relationship with zooxanthellae. But what are zooxanthellae and what is their effect on coral coloration? Let’s take a closer look. Zooxanthellae are, in short, photosynthetic algae, plant-like organisms that live in the tissue of corals (and other invertebrates). This symbiotic bond provides them with a safe environment and conditions necessary for photosynthesis. In return, the zooxanthellae provide the coral with much needed nutrients and food. 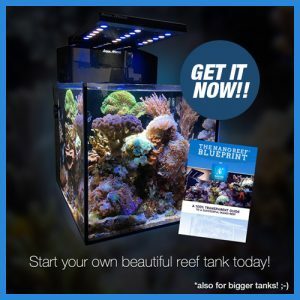 If you ever wondered why your precious sps need good light conditions… 90% of organic material produced via photosynthesis (glucose, glycerol and amino acids) by the zooxanthellae are transferred to the coral tissue and this allows the coral to make fats, proteins, carbohydrates and calcium carbonate to boost growth and skeleton strengthening. Another result of this symbiotic bond, is the coloration effect the zooxanthellae have on the coral. If you provide your corals (and zooxanthellae) with clear nutrient-poor water, it will boost photosynthesis productiveness and therefore provide stronger, healthier corals showcasing their unique and beautiful colors. If your water is very nutrient-rich with high nitrate and phosphate levels, chances are this will stimulate zooxanthellae growth, resulting in a brown coloring of corals. 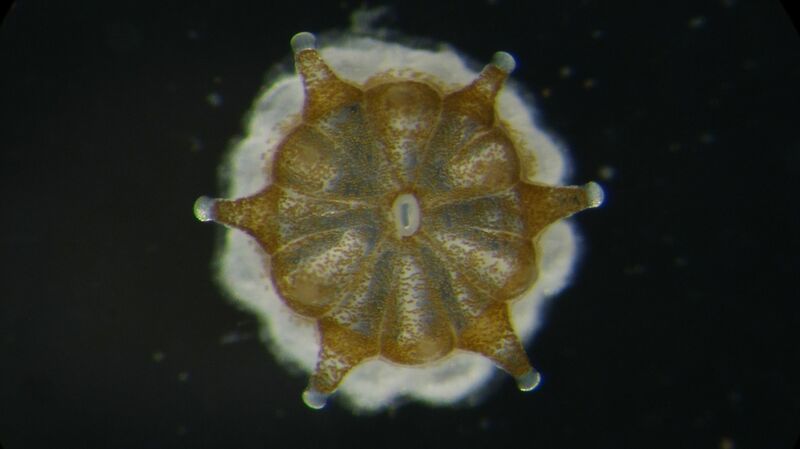 The same goes for low light conditions, where the number of zooxanthellae will increase to be able to deliver enough nutrients to the coral, also resulting in a brown color. Instead of beautiful colors or brownish colors, there is a third visual effect caused by zooxanthellae ’s behaviour. In moments of stress, it can happen that corals expel their zooxanthellae. This is what is currently happening in for example the Great Barrier Reef… global warming has caused a continuous stream of water too warm for a healthy coral environment, resulting in coral bleaching.